A small crowd had gathered at Gondola One by 8:50. 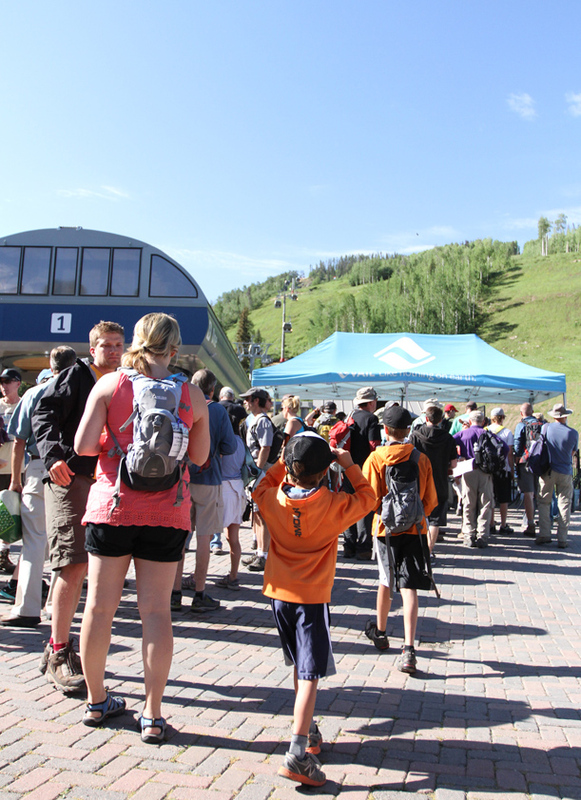 From families to church groups to individuals who wanted to lend a hand, volunteers collected trash bags and work gloves and at 9am began loading the gondola for the journey up the mountain. 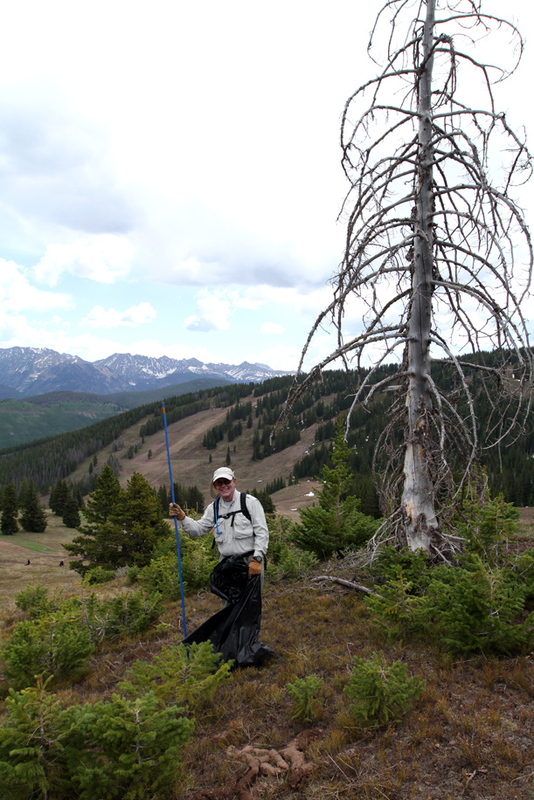 Once at Mid-Vail, over 600 volunteers and employees were directed by Vail Environmental Manager, Adam Bybliw, to locations across Vail’s 5,289 acres of terrain. Most of the search is really quite pleasant. With your eyes glued to the ground, looking for small items that may have been missed, you notice elk tracks and tiny wildflowers. Plus nothing beats ambling around the mountain with views of the snow streaked Holy Cross and Gore Range. 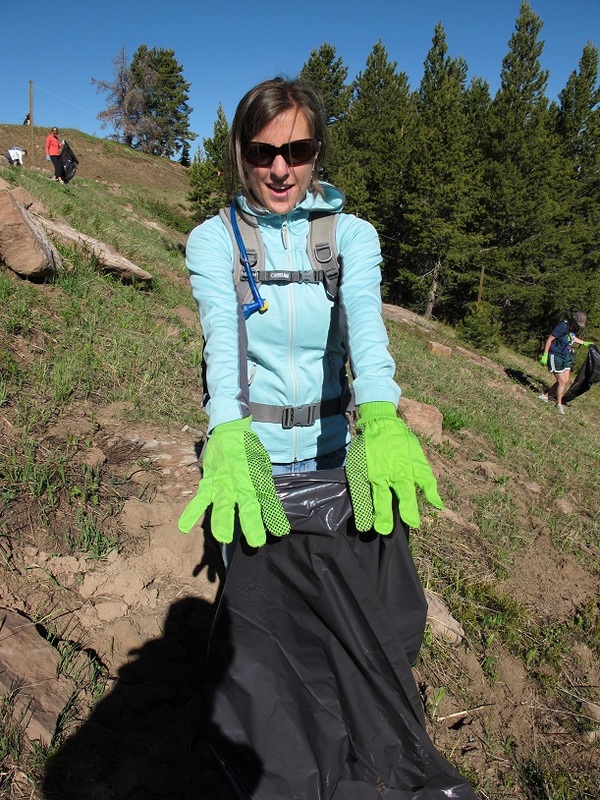 While most large items have already been found by summer mountain employees, the smaller or hidden items are really what volunteers are after. We all have our own method of finding the biggest stashes of stuff – some people search areas that are known as common yard sale spots while others trace the lifts for items dropped the chair. This year we found everything from cell phones to hotel keys, a stash of soup cans left by some thrifty skier to an old-school Pepsi can (we’re talking late 60s/early 70s era). 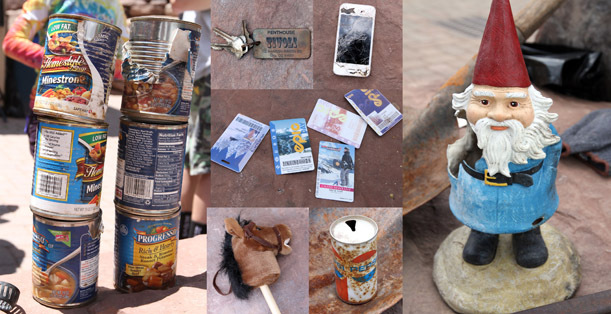 With all the funny items that are found each year, cleaning the mountain becomes part environmental stewardship and part treasure hunt. 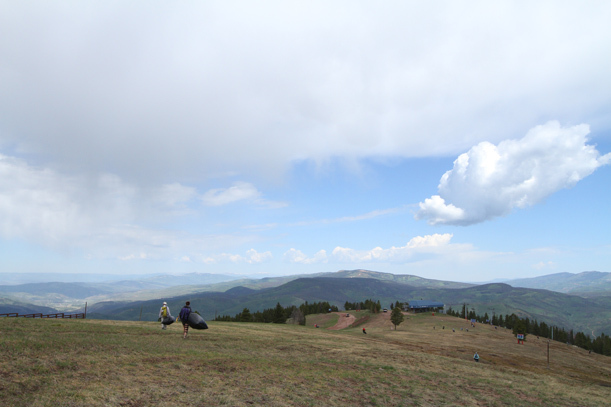 That said, each year the mountain cleanup helps bring thousands of pounds of trash off of Vail Mountain. 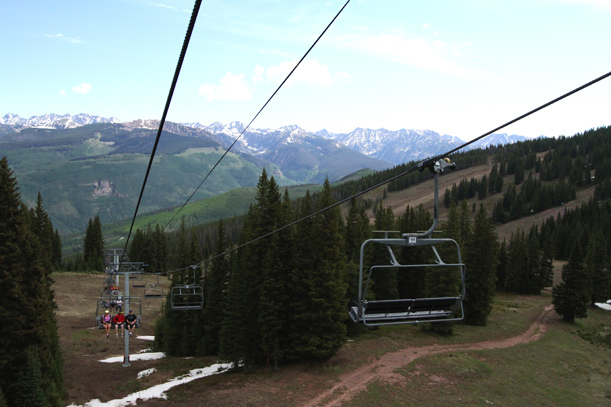 Volunteers were rewarded for their efforts with one voucher for one complimentary lift ticket for the 2013-2014 season as well as a free lunch at Sarge’s BBQ at Mid-Vail.